This dip is CRAZY easy and goes really quickly at a party. The only catch is that it takes three hours to bake, so while the prep takes about five minutes, you need plenty of time to cook it. Hey there, good looking. 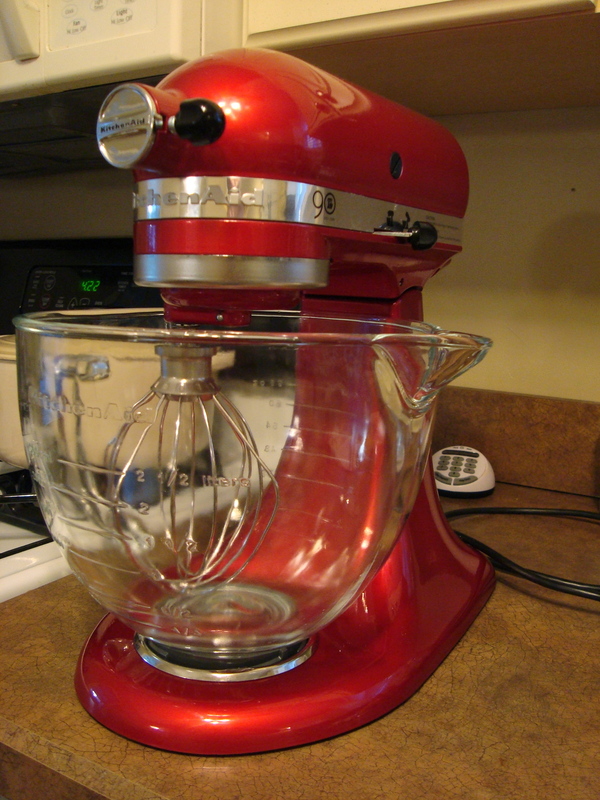 If you don’t have a handsome stand mixer that’s ok. You can use a hand mixer just as easily. Preheat the oven to 275 degrees. 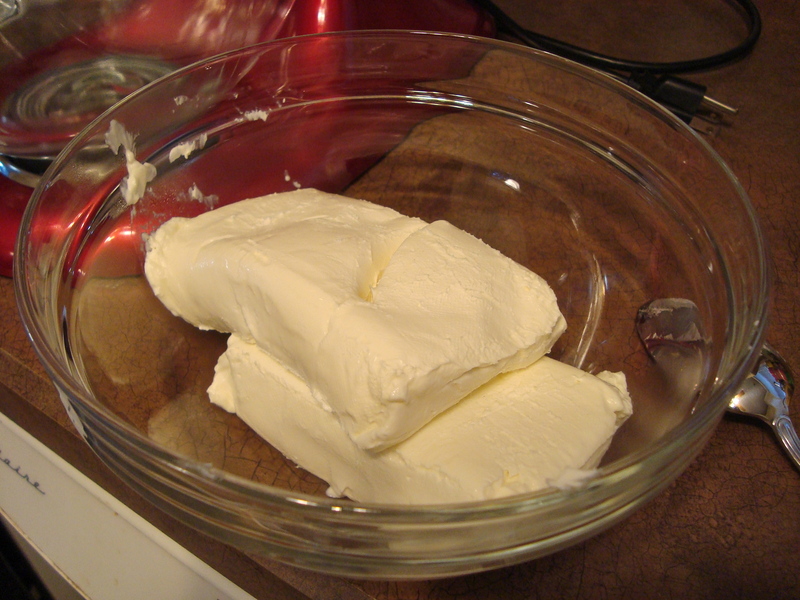 Put the cream cheese in a heat safe bowl and microwave for 30-45 seconds. You want the cream cheese to be soft but not melted. It helps to leave it out of the fridge for several hours. An action shot! 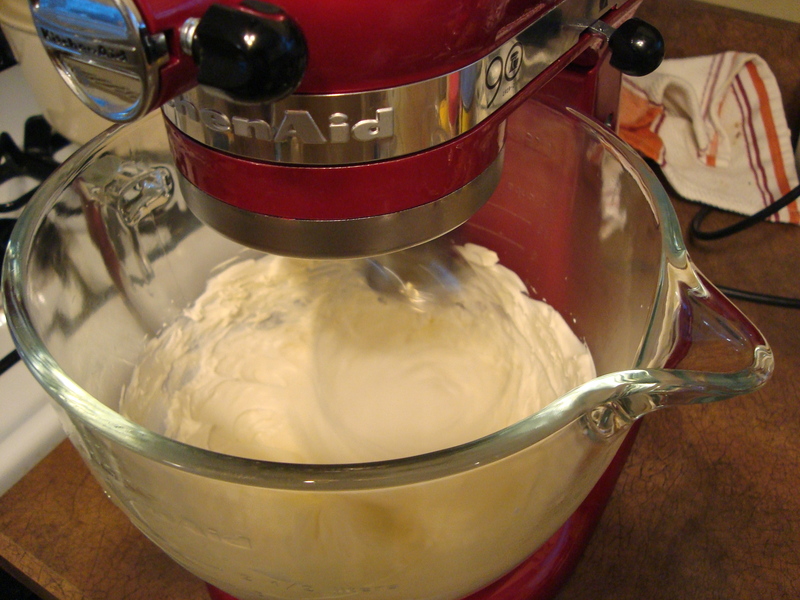 Mix the cream cheese with the whisk attachment and then … are you ready? Add all the other ingredients. No chopping, no peeling, no nothing. Just don’t forget to save 1/3 cup of the clam juice (watch out, it smells HEINOUS) because that goes in there too. 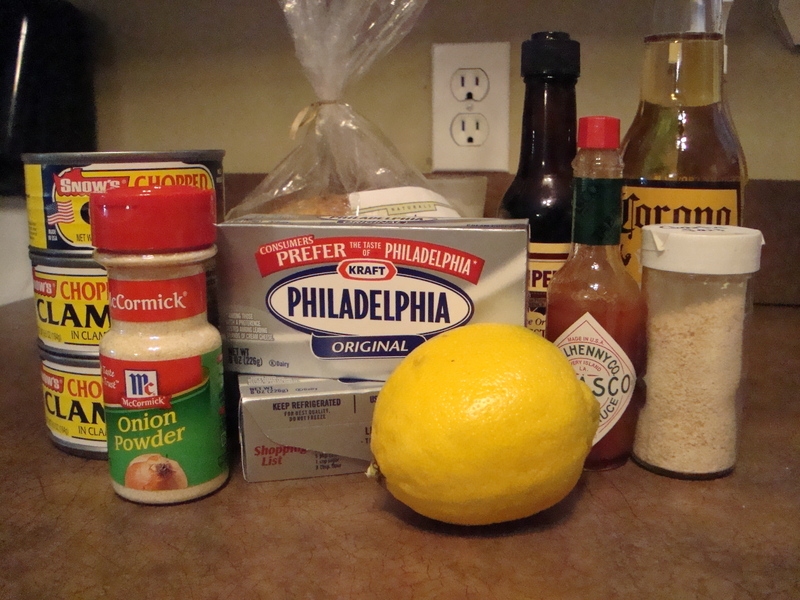 Mix for another minute or so until all the ingredients are combined. 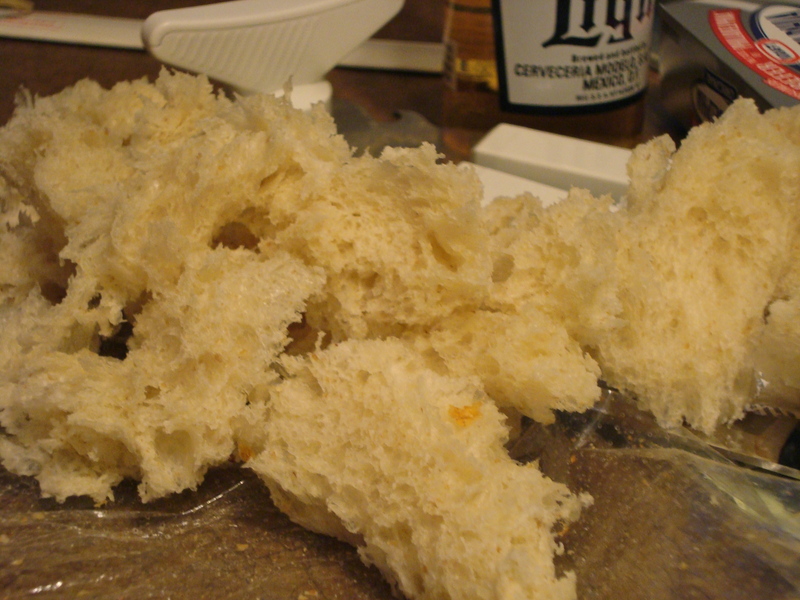 Cut around the top of the bread and take off the little bread hat. 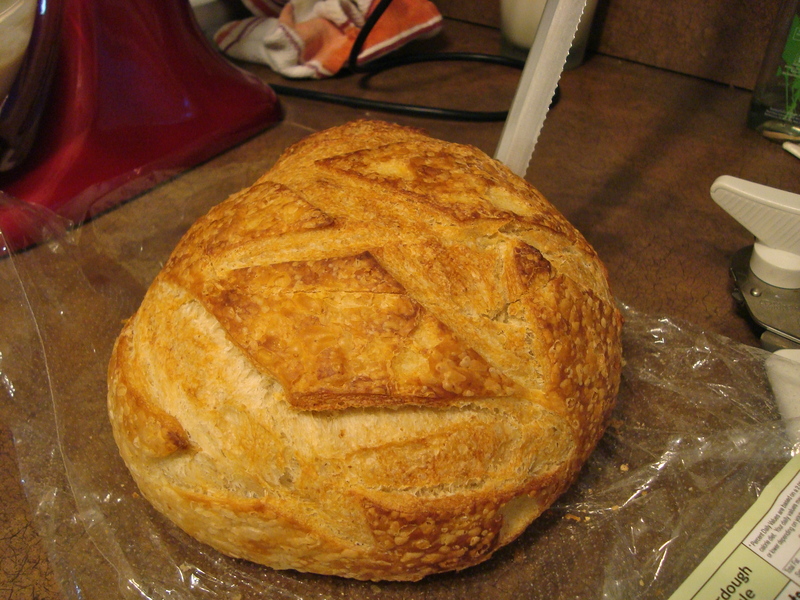 Remove the innards of the bread, taking out as much as you can while making sure that the sides and bottom are stable and won’t leak. 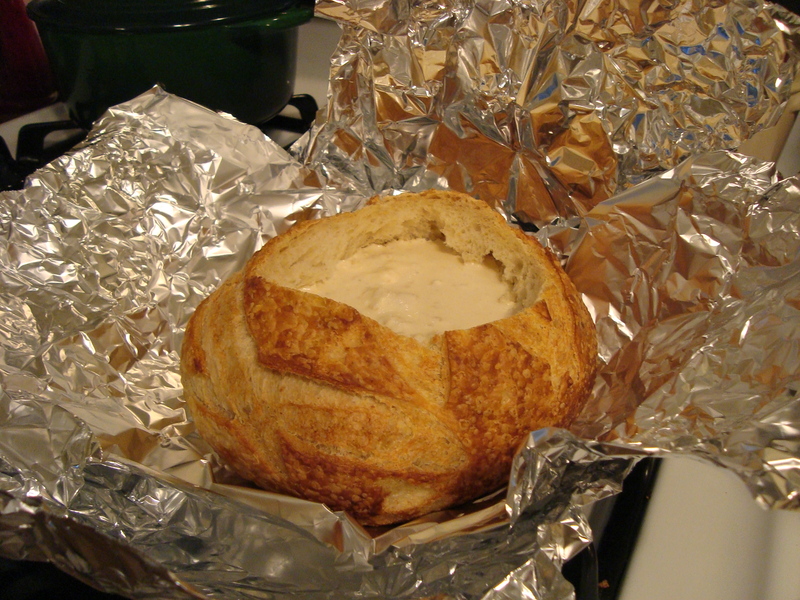 Pour the dip into the bread bowl; don’t worry if it seems a little watery, it will thicken after it cooks. 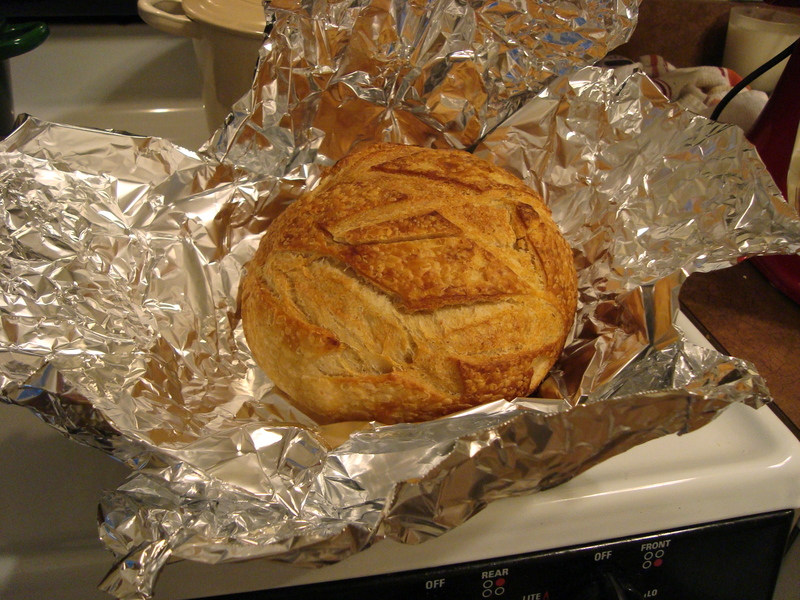 Create a cross with two large pieces of aluminum foil and wrap the bread up tight. Put it on a baking sheet and bake for 3 hours at 275 degrees. 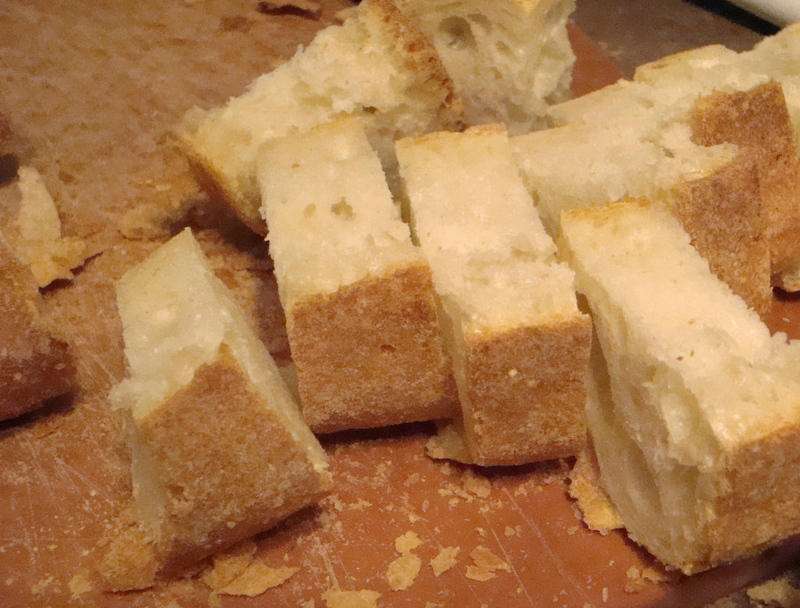 While it cooks break up the other loaf into pieces for dipping. 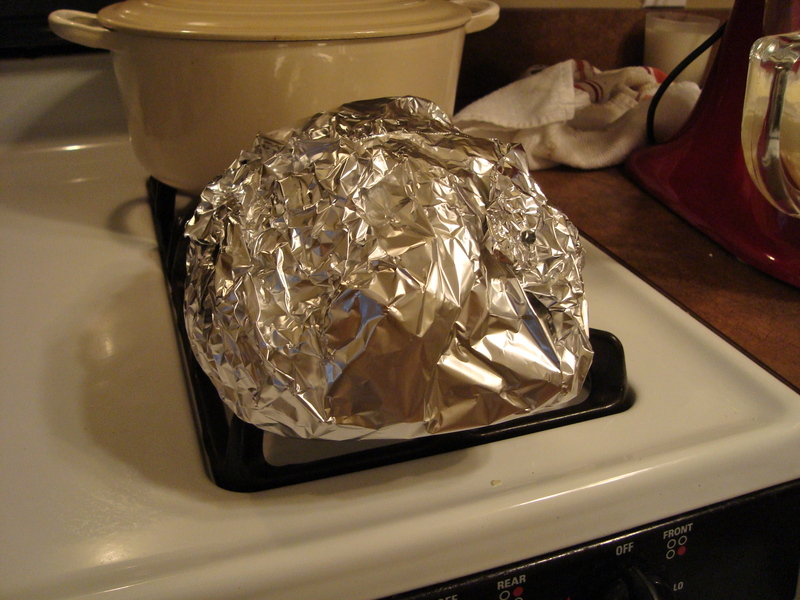 When it’s done, let it cool for about 15 minutes before removing the foil. Take off the little bread hat and cut that up too. I apologize for not having cooked dip pictures but I had some very hungry guests.